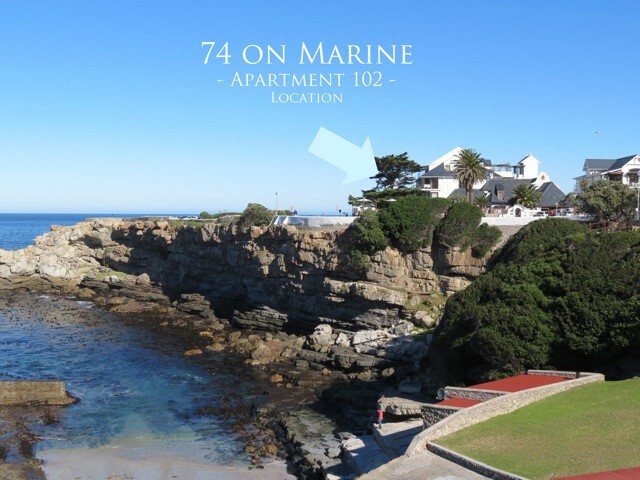 Apartment 102 at 74 on Marine, is a luxury sea-front apartment, with spectacular views of Walker Bay and the surrounding mountains. 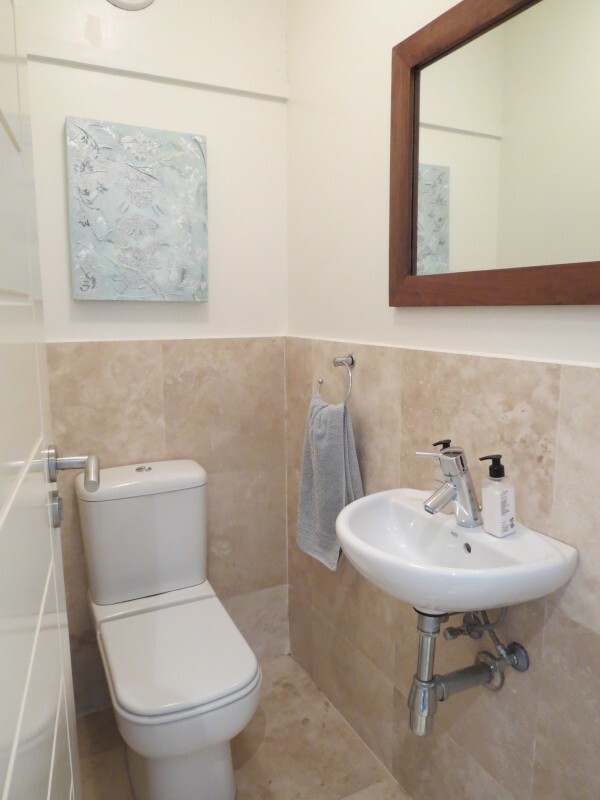 This spacious apartment has two bedrooms and sleeps four people. 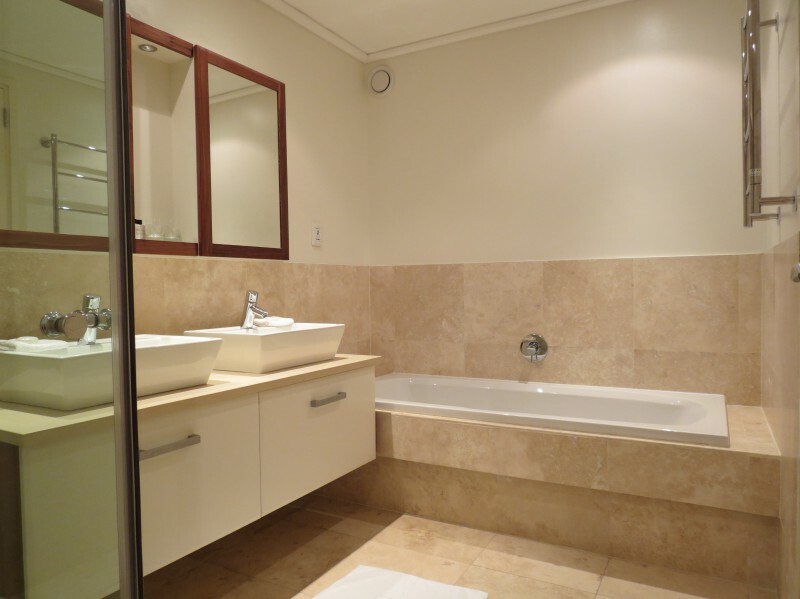 Both bedrooms are equipped with full en-suite bathrooms. 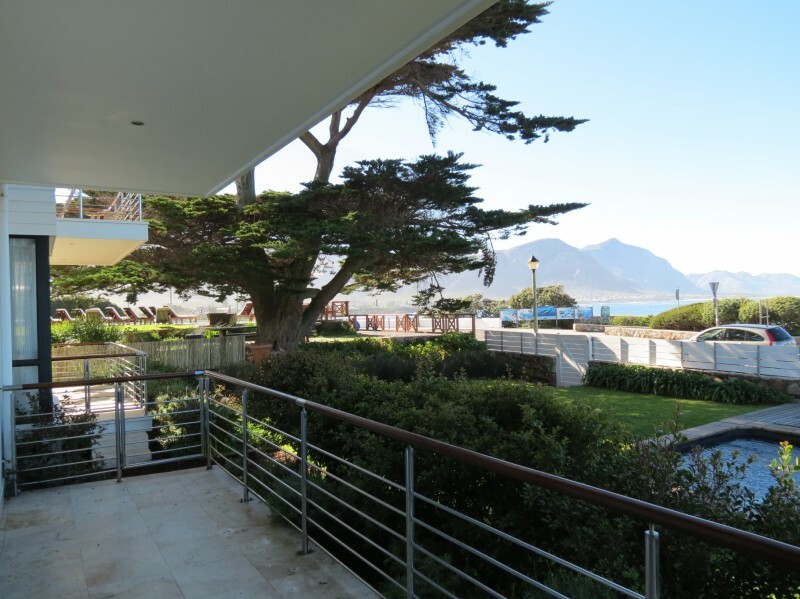 This fully furnished apartment suits guests that are looking for luxury self-catering accommodation in the centre of Hermanus. The apartment is situated on the coast-line at the famous whale-watching spot, Gearing’s Point, and is within easy walking distance to most shops, restaurants and major tourist attractions. 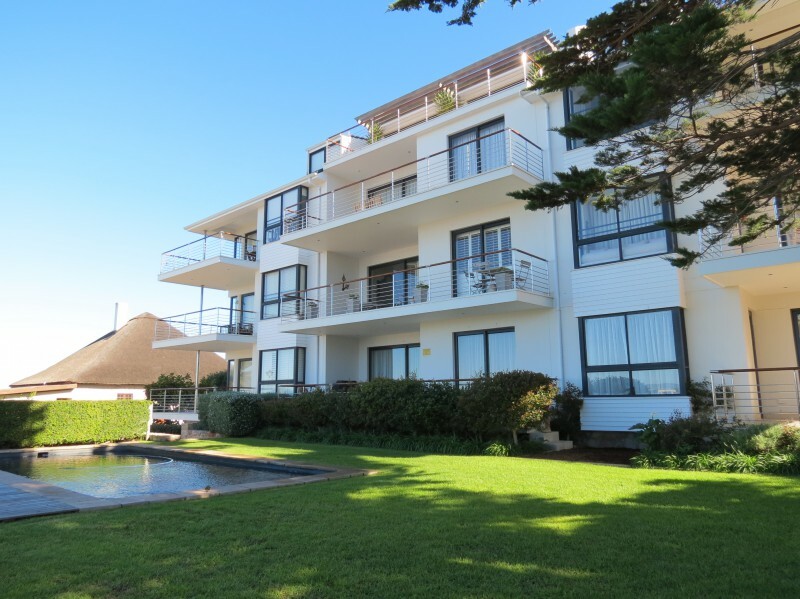 Spacious 170m², 2 bedroom apartment (Main - King size bed; 2nd Bedroom - Twin beds). Excellent location. 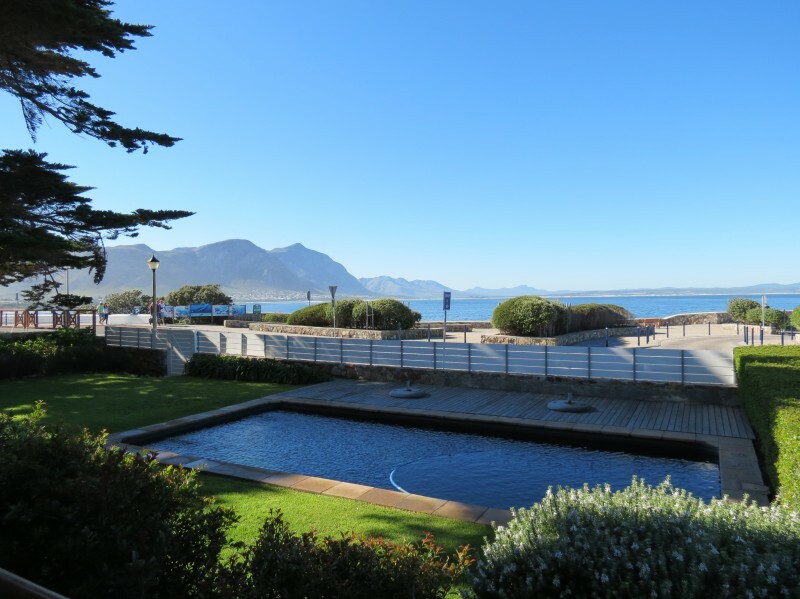 Situated on border of Hermanus CBD. 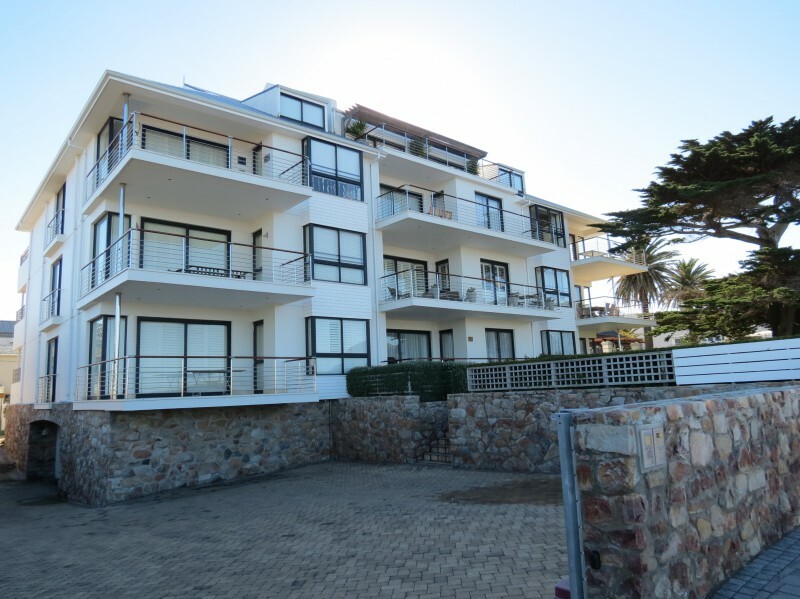 Walking distance to most restaurants, shops and tourist attractions. 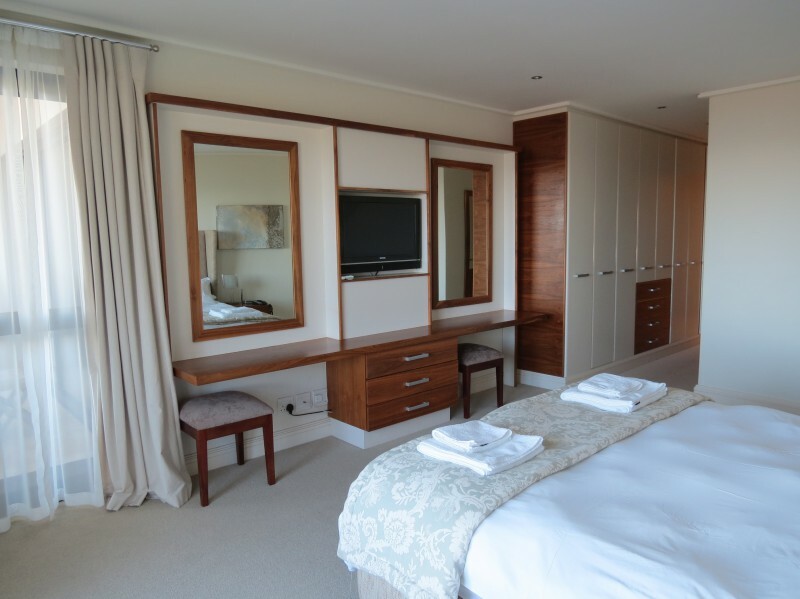 Superior quality linen, towels and amenities. 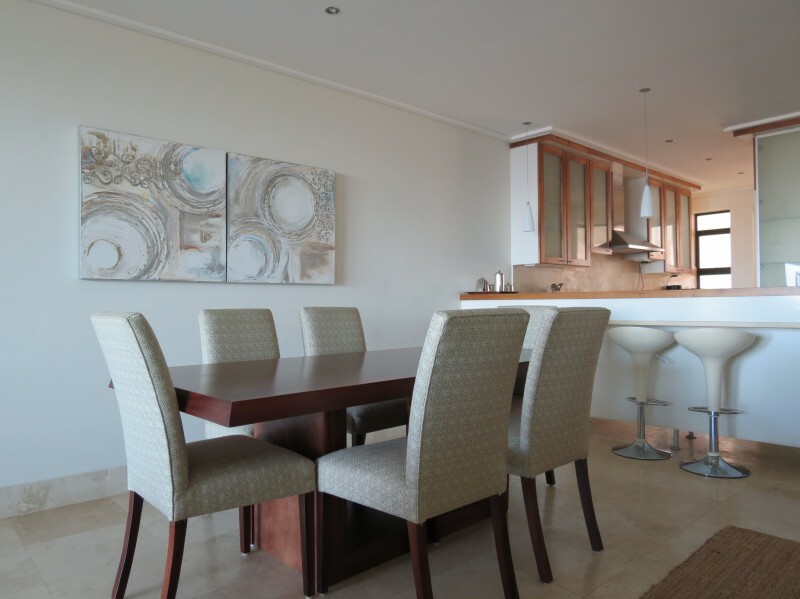 Comfortable lounge & dining area with sea-views. 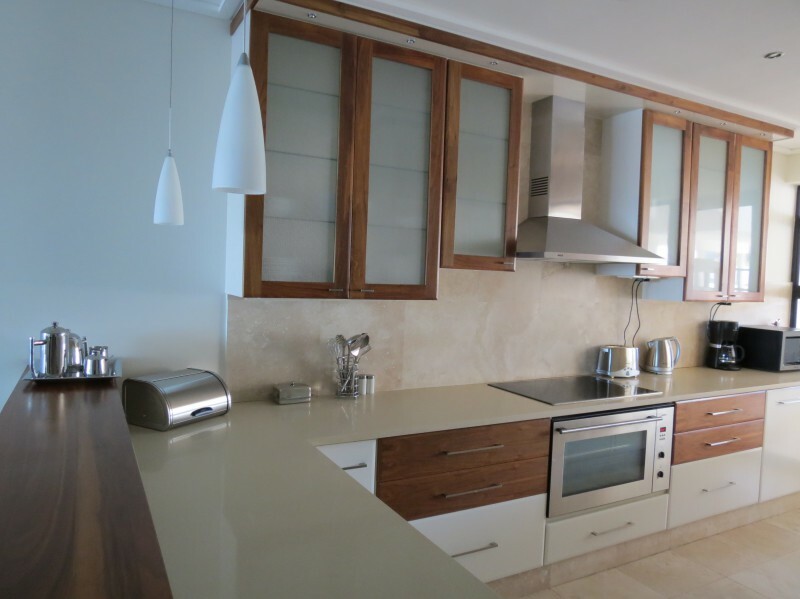 Fully equipped kitchen (Incl. Fridge/Freezer, Microwave, Dishwasher and Washing Machine). 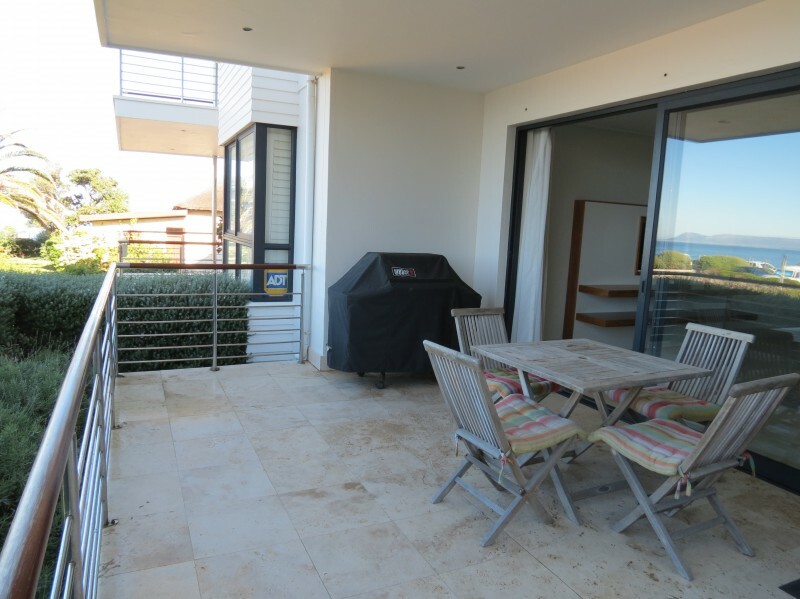 Large balcony with sea and mountain views with gas barbeque /braai. 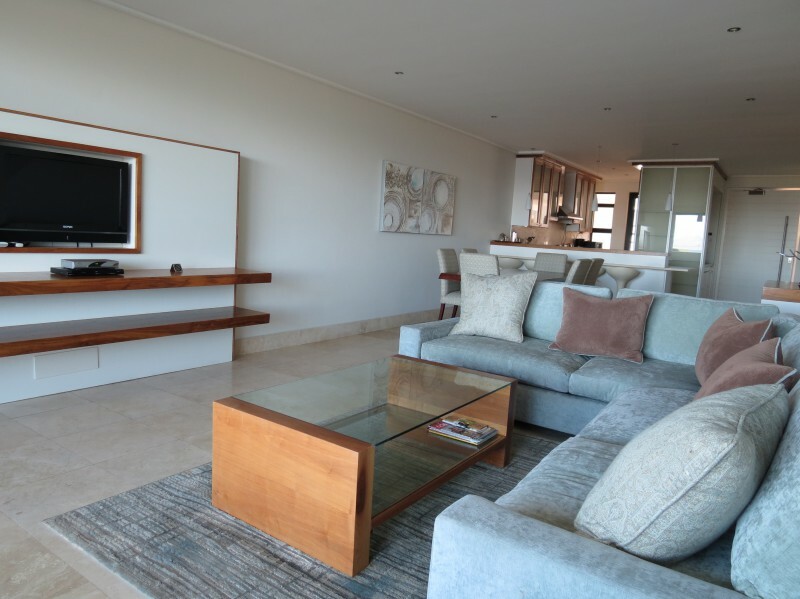 Living room equipped with 42” plasma TV, DVD&CD player and DSTV/Satellite. 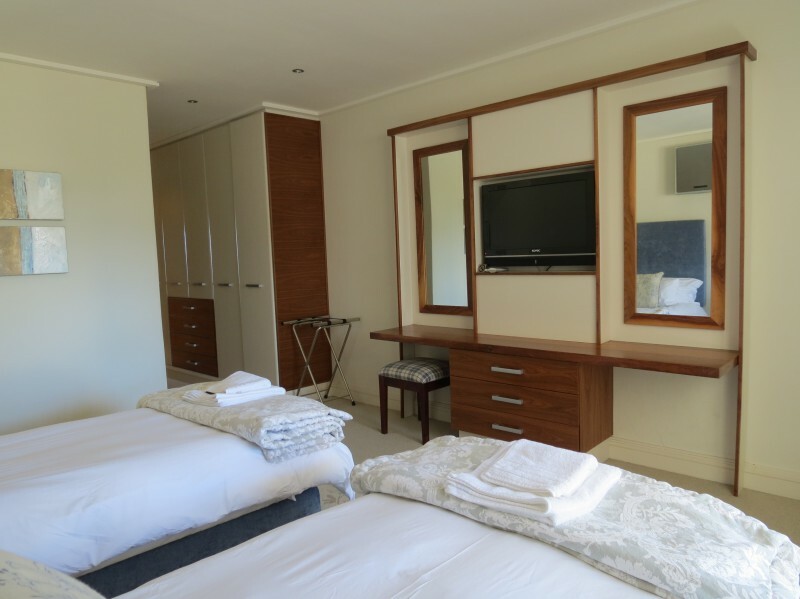 All bedrooms equipped with 42” plasma TVs. 2 Secure undercover parking bays with access to flat via elevator.